Nestled in the heart of Victoria's Premier Wine Region, Leafield is an enchanting country retreat offering self-contained cottage accommodation. Central to a host of award winning Wineries, Restaurants and Galleries, visitors can indulge in the delights of the fine cuisine and world renowned wines of the Yarra Valley, browse through a gallery or 2 or perhaps track down a bargain at one of the many antique stores through Yarra Glen and Healesville. If relaxation is more to your liking - we have more than enough of that here to share with our a leisurely stroll around our beautiful gardens or just relax and soak up the peace and harmony of this enchanting country retreat. Wood fire and air conditioning ensure year round leisure for our guests. Swimming pool (seasonal) and BBQ facilities are also available. Our history stretches back to the early 1900s when the original 10 room guesthouse, known as "Gordons Guest Home", was constructed. After most of the building was destroyed in a fire in the early 1960s, the remains were lovingly restored into what now stands as the charming "Rose Cottage", one of three fully self-contained cottages which now inhabit the remaining ten acres. Our other 2 cottages, Sage and Hanaby, were added to the property in 1996 to service a growing need for quality tourism accommodation in a region that was becoming one of Victoria;s major tourism attractions. 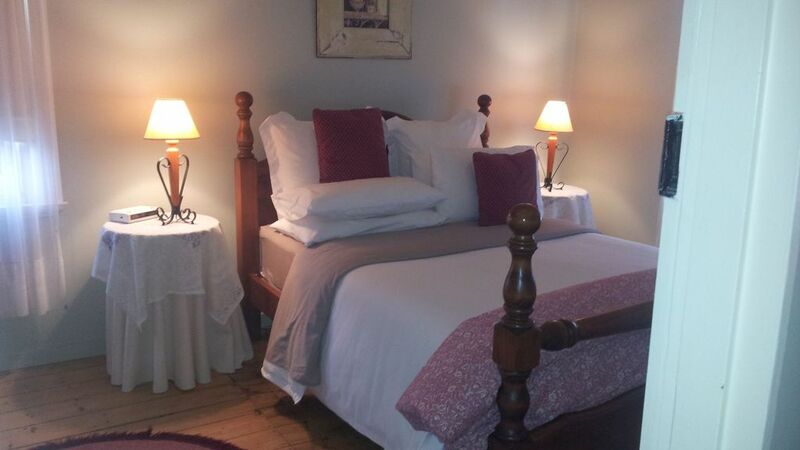 Both Sage and Hanaby are very comfortable open plan style studio cottages for couples who value their privacy. All cottages contain wood fires (wood provided from June-Sept only, electric blankets, TV, CD player and reverse cycle air-conditioning and along with our swimming pool (summer mths only) there are also BBQ facilities available . Provisions for a light breakfast are included in the tariff for the first 3 days. What a wonderful place to stay thank you so much Ron &Jan.
We thoroughly enjoyed our stay and would recommend to one and all. Very comfortable, pleasant setting and well located, including close to local cafe which was ideal for dinner. a really amazing place to stay in the Yarra valley. Charming cottages and very friendly and proessional owners. will definitely go back. Location is very good too pretty close to all the best in the valley. A must go. A big plus: best bed linen ever . Beautifully set up. Tastefully decorated . Divine bed,what a great nite sleep we had! Great place to chill out. The music available to play needs to be updated, and the reading material as well. However it was a pleasure to stay there. A beautiful home away from home. Lovely Jan was friendly and welcoming and the Rose cottage was adorable and comfortable.